Back to school season officially kicked off in Georgia last week. Many kids are heading back to school this month in the southeast. 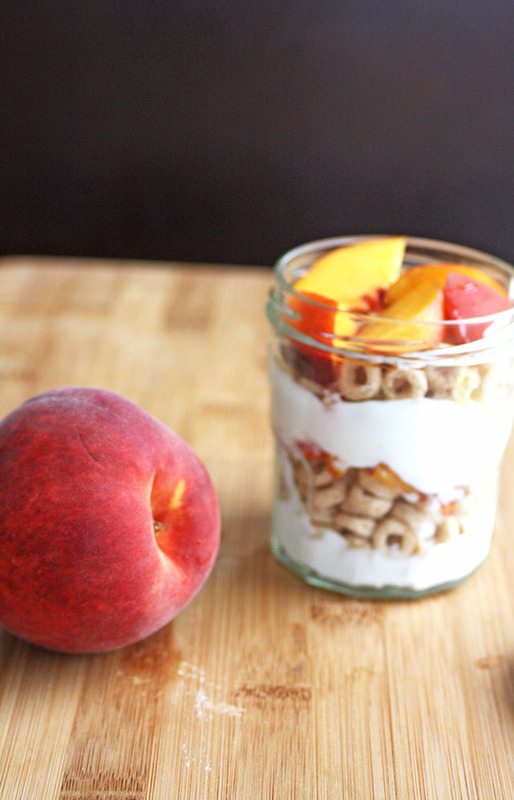 So to help out my mom friends I decided to share this kid-friendly recipe for a berry peach peanut butter yogurt parfait. I love making parfaits for snacks because they are healthy and store well when placed in the refrigerator. The great thing about this recipe is that it's perfect for the busy mom on the go looking for easy breakfast options or a portable afternoon snack to have after their kids sporting practice. Most adults would add granola to their yogurt parfaits. Instead of using granola I swapped it for my favorite organic cereal. Kids love cereal and this is an excellent way to get them to eat something nutritious. I'm also a big fan of eating what's in season, so I bought what was on sale and chose to use peaches and blackberries as a fruit option. To take this parfait recipe to the next level, I added peanut butter to the yogurt to play on the classic childhood favorite, the PB&J. This is easy to make and a great project to involve your kids in. Have them help you wash the fruit and layer in the yogurt and cereal. I used love helping my mom in the kitchen as a child. All of the kids as school were also jealous of my lunches because we loved to get creative in the kitchen. A recommendation for keeping these parfaits cool while on the go, place the mason jars in the freezer for our 30 minutes before filling them with the ingredients. This will help keep the yogurt and fruit fresh during transport. 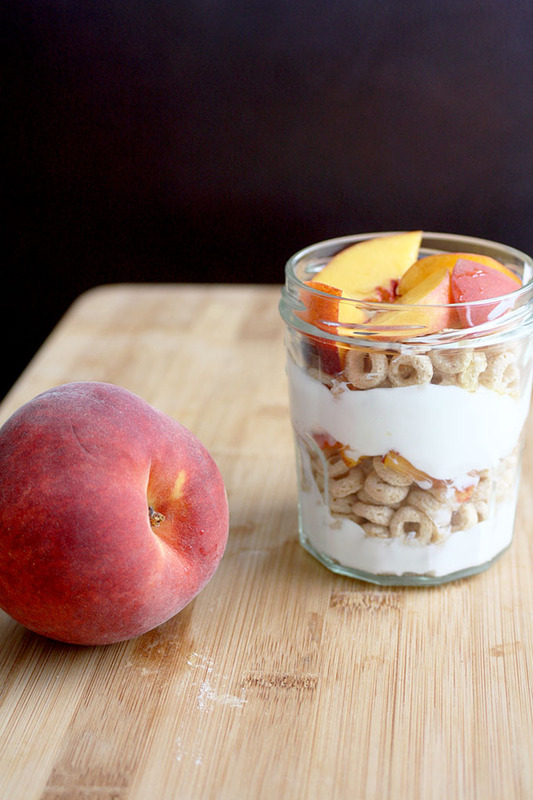 Check out the berry peach peanut butter yogurt parfait recipe below.